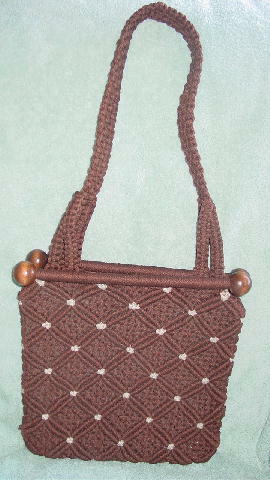 This dark brown vintage woven purse has a wide diamond shaped pattern with antique white accents in the corners and the very bottom has four larger antique white accent patterns. 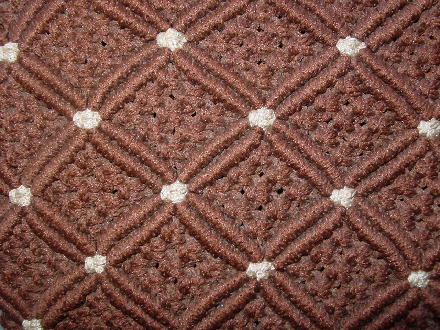 It has a medium brown fabric lining with an open interior side pocket. The top sides have wooden rods with a large wooden bead attached to each end. It has a 32" by 1 1/8" shoulder strap. 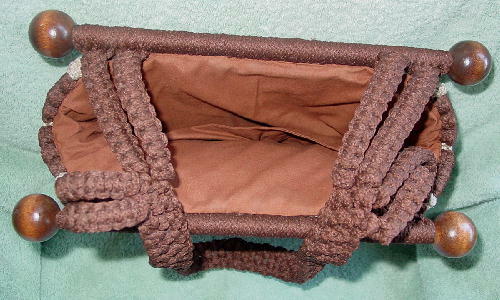 The purse has some body to it and there is also some weight to it because of the wooden rods and the end wooden beads.